Culver Music is proud to represent the composer David Thorne. As sole distributor of the Mass of St Thomas we welcome enquires from music shops, churches and individuals. 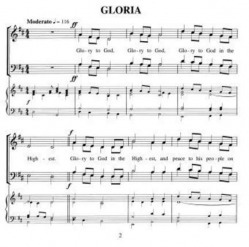 Originally composed for the parish choir and congregation at Portsmouth Cathedral this communion setting remains one of the most popular purchases for choirs and churches both in the Anglican and Roman Catholic traditions. The setting is very versatile and is suitable for use with or without choir, or with cantor and congregation. It is possible to perform the Mass with an SATB choir and organ, in unison with organ, or with unison voices and descant. The Bishop of Salisbury writes: David Thorne wrote his Mass of St Thomas at my invitation for the large congregation at the parish communion of Portsmouth Cathedral. That congregation picked up its simple but dignified themes very easily, and sang it week by week for a decade without tiring of it. 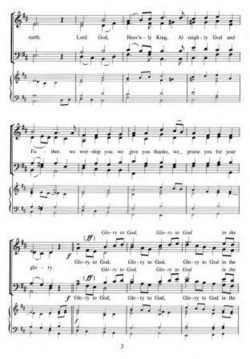 Melodic, but without being aggressively modern, it doesn’t seem to have dated at all, and big congregations can pick it up and sing it with ease. It is what we use on all major occasions in the Diocese of Salisbury, and it has entered our blood stream here as well.This is a setting which will continue to feel fresh which small parishes and large gatherings alike can use with confidence, and which will bridge the gap musically between more traditional and more modern settings and I commend it warmly.